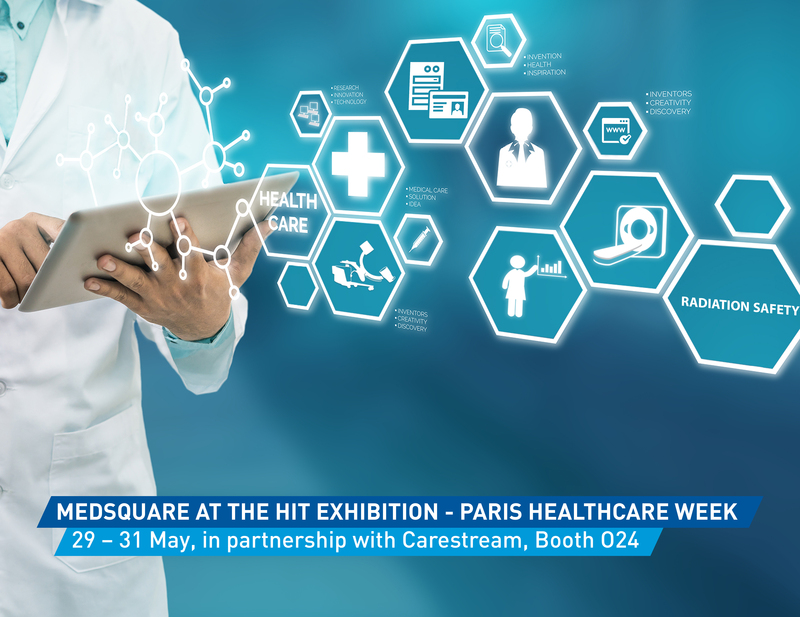 Medsquare will be participating on Carestream’s booth at the HIT (Health-ITExpo) exhibition of the Paris Healthcare Week, which will take place on 29-31 May at Portes de Versailles. This is an excellent opportunity to show not only the benefits of the alliance Medsquare – Carestream but also to present the Radiation Dose Monitor (RDM) solution to all customers, including those of the Krypton project. Created in 2007 by the Hospital Federation of France (FHF), the HIT exhibition (Health-ITExpo) is the No. 1 exhibition in France for ICT, information systems and e-health. A must-attend event for many medical imaging companies, this year’s professional event welcomes 350 exhibitors dedicated to IT and digital transformation topics. The Paris Healthcare Week HIT showcases how technologies can improve the quality of patient care and the day-to-day lives of healthcare professionals. And that’s what Medsquare wants to do with RDM..
Join us at Carestream’s booth O24! 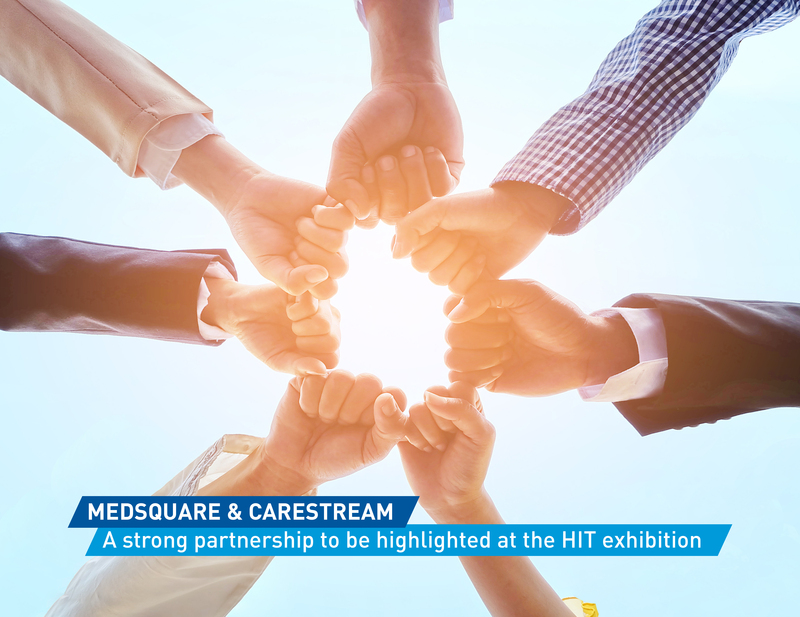 Medsquare will have a dedicated space at the HIT exhibition to meet the stakeholders of the Krypton project and to demonstrate the RDM solution. As a reminder, in February 2018, Carestream was chosen by the public interest group ‘E-health in action’ (GIP Esea) to implement the Krypton project in New-Aquitaine for the exchange and secure sharing of medical imaging data. As part of this tender, the manufacturer selected Medsquare to deploy the Radiation Dose Monitor (RDM) patient dose monitoring solution on a regional scale. This is the first time that a regional dosimetry service has been requested in a regional PACS project. Carestream analyzed solutions to fully address the functionalities of Krypton’s program. Medsquare’s RDM solution has quickly proven to be best suited to the project’s objectives. Click here to read the press release.